The Katy Bedroom Collection will have you one step closer to creating your dream bedroom! This collection is built using sustainably sourced solid Maple wood made in America and is an instant family heirloom to be cherished for generations to come. The stately appeal of the Katy Bedroom Collection is just one of many reasons to invite it into your own home today! Each piece in this collection has been built to stand the test of time and designed to stay in fashion for years to come. The simple paneling in the headboard gives a subtle charm to the bed while various design details in the nightstand and dresser give them a life of their own. Made in America with care and pride. A catalyzed finish provides long-lasting beauty and warmth. 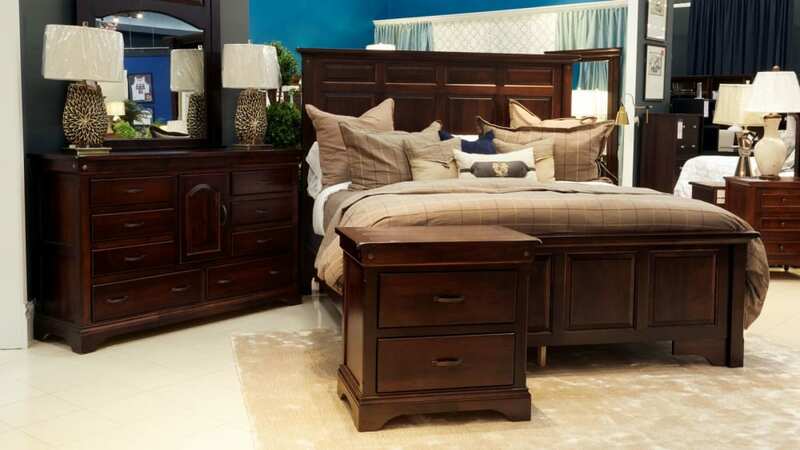 Elegant drawers on the chest, dresser, and nightstand provide the finishing touch.